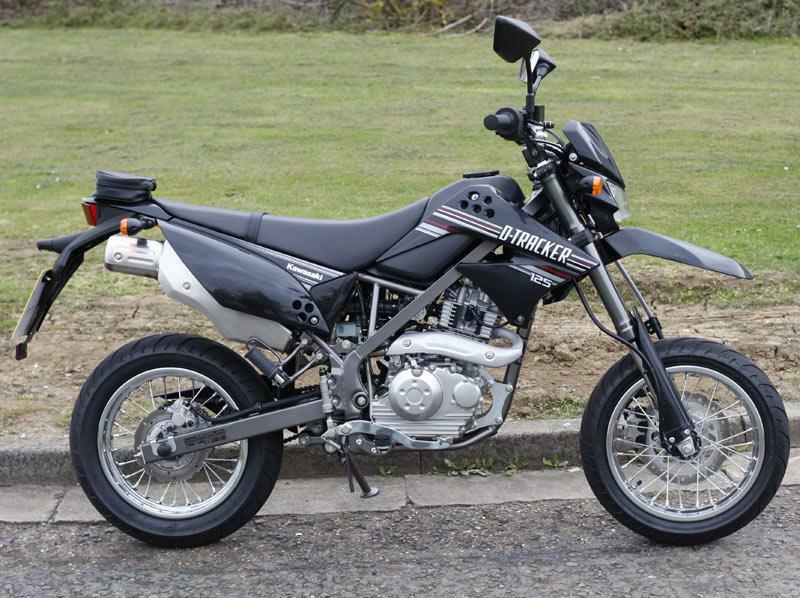 The supermoto version of a rubbish bike, the D-Tracker 125 is based on the titchy KLX125 trail-style learner machine. 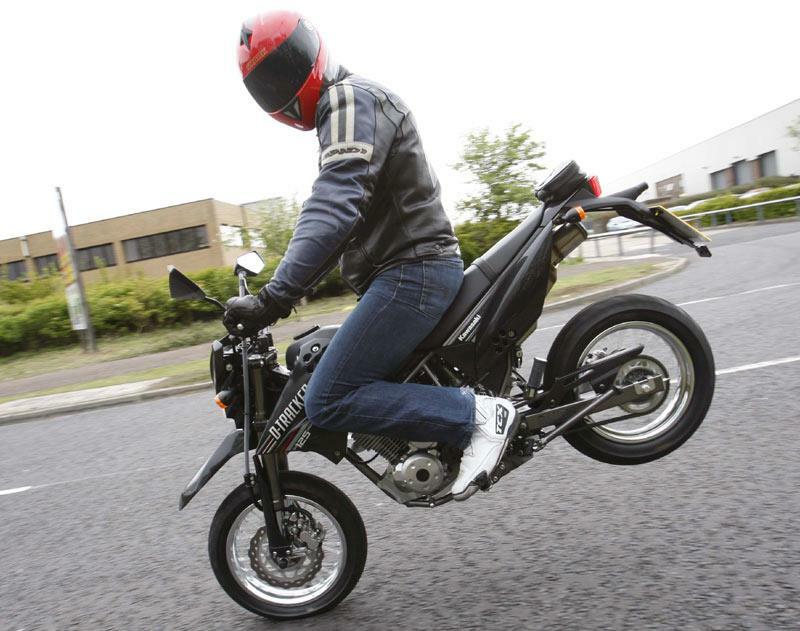 Not a great start in life – the D-Tracker’s supermoto-style road wheels and tyres are a minor improvement, but there’s nothing to recommend it unless you’re exceptionally short. The tiny wheels have relatively wide tyres, so it grips well, but like the KLX, the size compromises the ride. It wobbles at speed if you move around or steer, and the suspension is crude, which exacerbates things more than it would on conventional sized bikes. 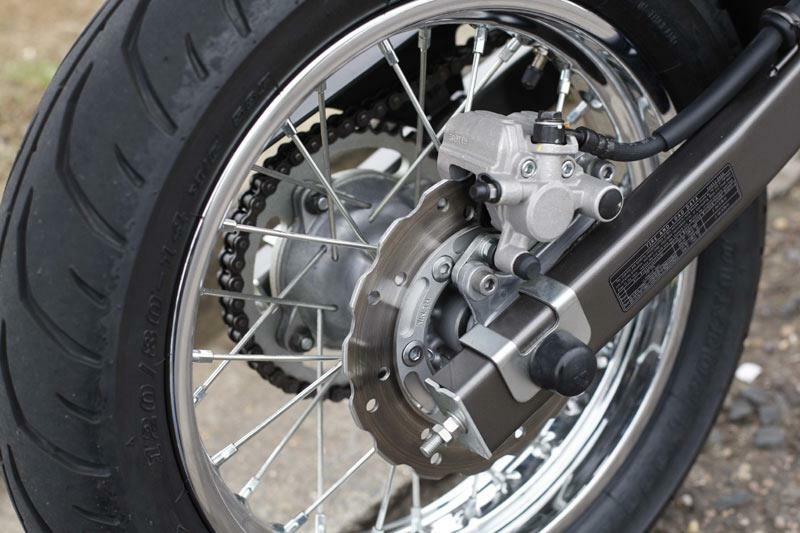 The brakes work well though – there’s enough grip to coax the little Kawasaki in to a stoppie, or just stop swiftly for right-thinking riders. 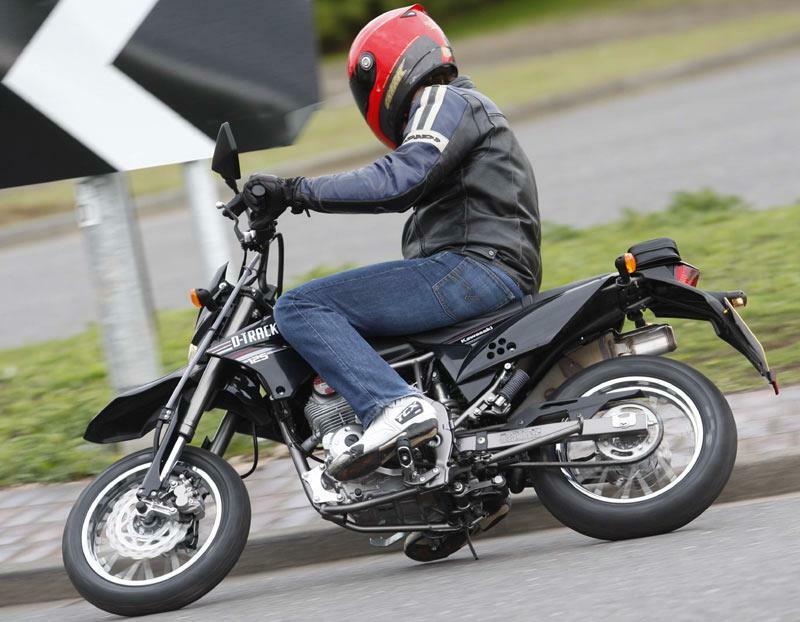 Compared with its 125 peers, the D-Tracker is gutless, accelerating slowly and rarely breaching 60mph with average sized riders on board. 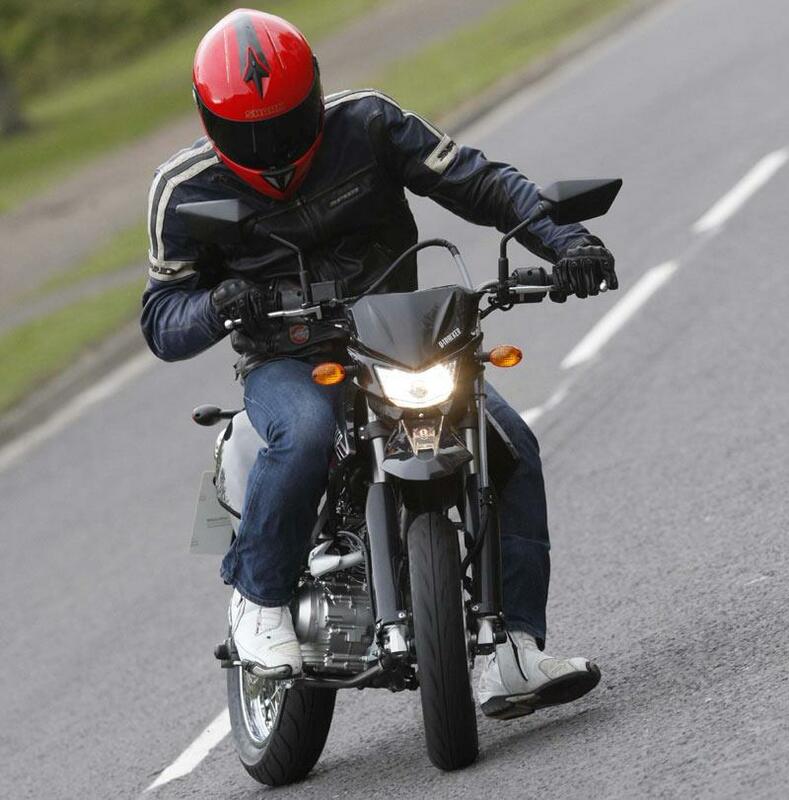 It’s user friendly for an absolute novice, but within weeks you’ll soon tire of feeling vulnerable in 50mph or national speed limits – it needs more go, from both a fun and safety point of view. It’s unlikely the softly-tuned engines will throw up any issues provided it’s cared for, but build quality is lacking – it’s like a Chinese bike in places. The steel chassis has only a thin veneer of paint – expect it to rust fast if you don’t look after it in winter. It’s not particularly cheap, but it is nasty. There’s really nothing to justify the price, and no reason to buy it over any competitor unless you must have one, or are exceptionally small and need a bike of such ludicrously tiny proportions. Find a Kawasaki D-Tracker for sale. Very little – the rims are nicely made, but they’re comedy-small. There’s a nice digital dash, but that’s the extent of the luxuries. 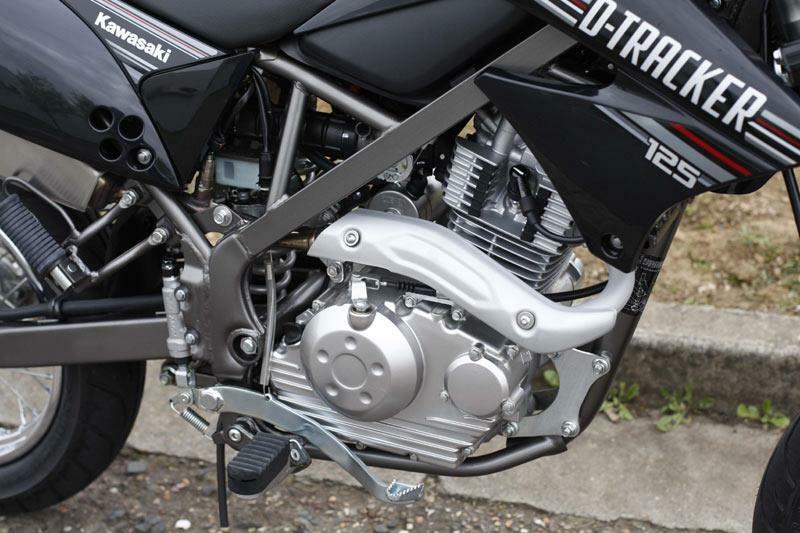 Compare and buy parts for the D-Tracker in the MCN Shop. Kawasaki KLX125: Same mechanicals, but with trail-style wheels and tyres. 2 owners have reviewed their KAWASAKI D-TRACKER 125 (2010-on) and rated it in a number of areas. Read what they have to say and what they like and dislike about the bike below. I used the bike recently to go into London and the bike performed wonderfully. I am used to much bigger bikes and this was a joy to ride in traffic by comparison to them. It was much quicker than nearly anything else until dual carriage ways when the maximum I could get out of it was 67mph which I didn't think too bad for an unmodified 125 with a hefty oaf sitting on it. I thought it could do with another gear, I was always looking for 6th. Apart from that it is quick and nimble and doesn't falter until it gets to its maximum speed and I just want a little bit more, but then I remember am only riding a 125 not a 1,000 cc. A little corrosion on the manifold, but this bike was used as a commuter bike before me in all weathers. The rest of the bike is good, no rust and very sound plastics too. Haven't needed to service myself yet, but receipts from previous owner prove that the bike is cheap to service. Doesn't really need anything, its just a cheap 125 that performs really well in traffic. Tyres handle well, they are the originals, suspension is good, probably would like a fuel gauge instead of a warning light, but this is just a niggle. Also no main stand so adjusting the chain is a little harder than I am used to. Bought second hand for £1200 as a learner machine for Son doing CBT. Was up for £1350 but will need new tyres soon and also new chain soon. I was disgusted by the way MCN slagged this bike off. I strongly disagrre with what they said. Its great fun,its small and nimble and great in traffic and works well as a commuter bike. Ive had the bike 3 months and so far the bike has gave me no problems. 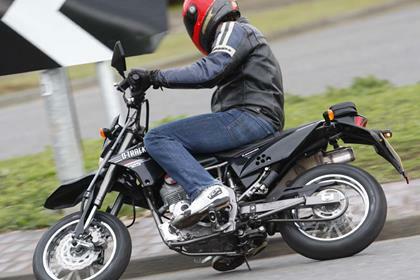 I disagree with MCN saying its a slow bike, I know for a fact it can keep up with other 125cc's on the market such as the Sinnis aapche with ease, and with a top speed of 62, its hardly that far from its rivals. ITS A 125 cc ITS NOT GOING TO BE FAST. The engines got good mid range torque and pulls ok. The build quality is quite good across the bike. The only negatives with the bike are the exhaust manifold is coated steel, so has began to rust, and some of the spokes on the rear wheel have got signs of corrosion. The tool kit provided is pants aswell. I do agree with MCN saying it is quite expensive, however I managed to shop around and got brand new for £2200 which is more reasonable. The controls feel light and are easy to use, but the seat is a little uncomfortable on long rides. Its rugged enough aswell, being a young teenager its had some tough times with hard braking, attempts at wheelies, burnouts etc.. and it hasn't broken yet. Several of my friends also rode this bike and agreed with how fun and easy it is to ride. I think MCN should reconsider they're review on this bike. 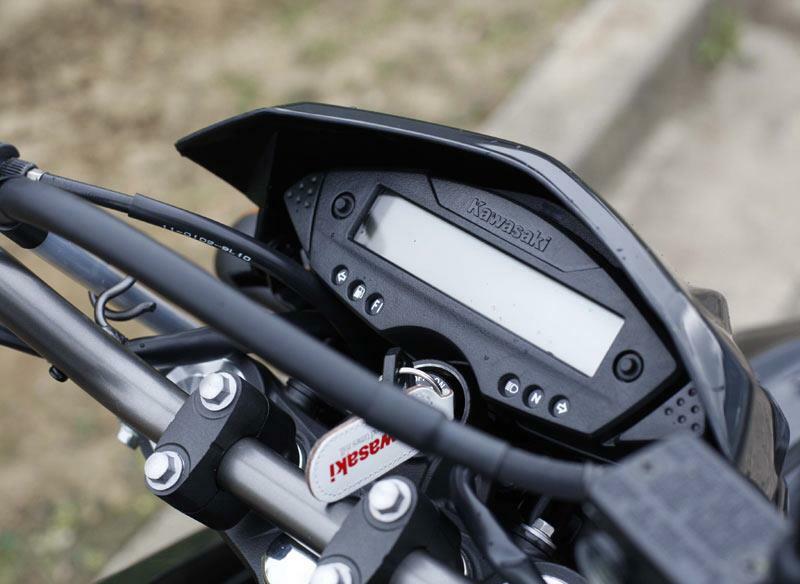 Kawasaki releases cheap insurance scheme for KLX125 and D-Tracker.